A Euro Working Group (EWG) meeting on Wednesday decided to green-light the disbursement of a 970 million euro tranche of post-bailout funds to Athens. 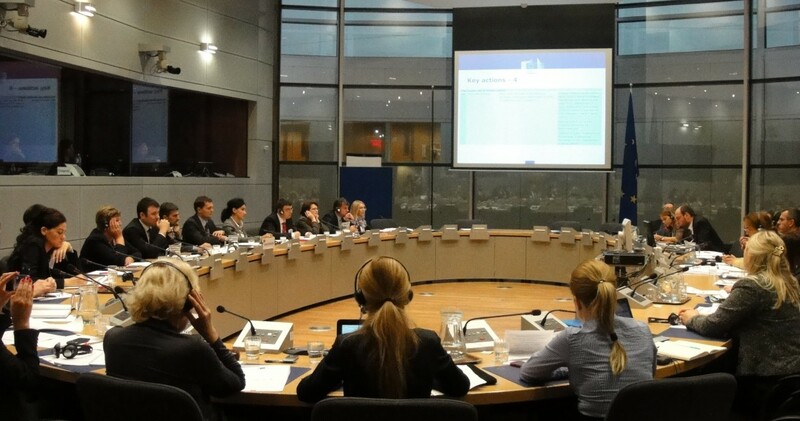 The EWG met to prepare Friday’s Eurogroup meeting of Finance Ministers which is expected to give the final go-ahead. However, ratification will be required by some national parliaments too, including the German House. Athens is thought to have completed a series of reforms agreed with its international creditors. Finance Minister Euclid Tsakalotos said the EWG teleconference “went very well,” adding that he is “very optimistic” that the amount will be disbursed next Monday. According to a European Commission report, Athens has implemented actions requested by European creditors at the end of February 2019, such as consolidating the autonomy of the independent public revenues authority; updating measures to reduce NPLs; unveiling a new framework for protection of primary residences from creditors and more. Nevertheless, Greece’s creditors are thought to have expressed serious reservations and warnings over some of the 16 prior actions Athens had to implement. The largest obstacle to the talks was a new scheme offering protection to primary home owners from foreclosures. Creditors will monitor the operation of the scheme to make sure the health of the banking system is protected and strategic defaulters do not stand to benefit. Moreover, the privatization of Public Power Corp assets was not completed and creditors have agreed to wait for the results of a second tender. Technical difficulties have also seen other privatization projects stall, such as the landmark Elliniko redevelopment project and the Egnatia Highway.